To stop CloudFront cache from affecting your updated files Amazon recommends the use of file name versioning but in some case this isn't practical. I'm going to show you how to Invalidate your stored files using the CloudFront control panel. Invalidating objects removes them from CloudFront edge caches. 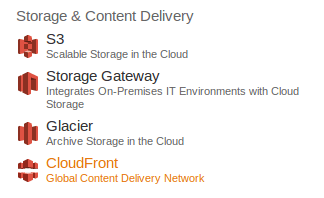 All your files stored on CloudFront are cached allowing them to be served as fast as possible. What if you want to update a file or image that you have stored there? You can update as many files as you like but it can take up to 24 hours for the changes to catch up. I use CloudFront to store the update files for my extensions and I can't version their names because they would stop working. 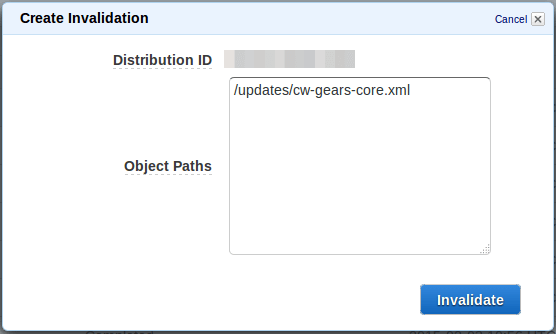 To get around this every time I release a new version I manually invalidate the extensions update xml file using the follow procedure. It usually takes 10 to 15 minutes to complete your invalidation request, depending on it's size..
Once it says completed you are good to go.